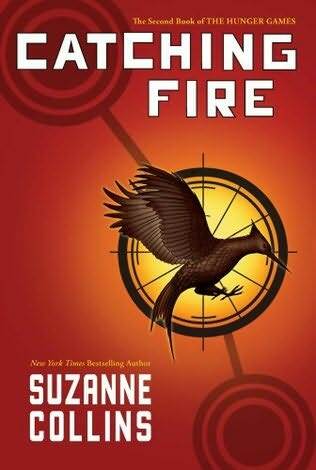 My husband was super sweet yesterday and picked up my book from my mom's house so I could finish the Hunger Games series. I'm going to go ahead and say I highly recommend it. 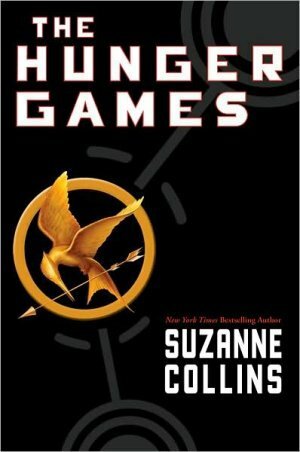 I'm extremely impressed with Suzanne Collins (previously one of the writers for one of my kids' favorite TV shows, Wow! Wow! Wubbzy! Nice, huh!) and I'm really glad she's an executive producer for the movie (The Hunger Games, not Wubbzy, lol). I love how she didn't try to rush the story at all, the plot and all the character development took its time to evolve, not trying to shove too much into one book. At the same time, the books clearly weren't written just to market the next book in the series (one of my BIGGEST pet peeves). She just had a story to tell, and she took it seriously and didn't leave anything out. All the little holes were patched up nicely by the end, but not in a "happily ever after" sort of way, which would have thrown the whole concept of the book a little off-course. Anyway! I loved this series, you should check them out. Like I've said before, I am not a fan of "trendy" books, but this book deserves it's "trendy" status. At the end of a book I really loved, I always mourn it a little. 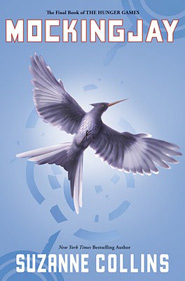 I finish the last page as slowly as I possibly can, dragging out the experience just a little more, shed a tear (as I did with MockingJay), and close my eyes for a few moments, just soaking in the feeling of it. Then I have an overwhelming need to write. When I realize I've run out of book to read, I get a little sad because it's over. You can never experience a book the same way twice, that experience has past. I know it's kind of stupid, and I know re-reading can sometimes be an awesome experience as well... and I get to read more good books now, but I always feel a little bit of the post-series blues. Today I break out the box of letters I've been trying to convince myself to read for months now, and I get down to the business of writing the second half of my novel. It's time to face it head-on and give it a chance to be something. Wish me luck... I'm going to need it; there are some parts of the past that are painful to re-visit. Hi! I read these books about three months ago and I am seriously considering reading them again. I always think it is a great idea that the Author attaches themselves to the films. The most recent examples being The Harry Potter and Twilight series. I think there influence truly shapes the way the films feel. I mean the Twilight movies are just as corny and over the top as the books, am I right? Anyways I really enjoy your blog! Keep it up!